Parenting can sometimes seem like a constant series of emergencies, with threats to your child’s health around every corner. From the sodas that children drink to paint used in the home to the food that kids eat, there always seems to be a new danger for parents to face. Now, a new worry has emerged from left field — the window blinds in your own home. One reason for the increased alarm is the recently released video footage of 4-year old Gavin Walla, the son of Wisconsin mother Nicci Walla, being almost strangled to death by the cord of a set of ordinary window blinds. Since that incident occurred in 2002 Nicci has become an activist, seeking to persuade parents to remove window blinds with cords. This isn’t a niche campaign. The United States Consumer Products Safety Commission (CPSC) reports that a child chokes to death every month in the U.S. after becoming entangled in a window blind cord. The CPSC believes that between 1996 and 2012, 1590 children lost their lives due to accidents involving blind cords. Children seem to enjoy playing with the dangling cords, and with the large number of blinds in homes across the country, every now and then a tragedy is inevitable. Even blinds with concealed cords (often called Roman blinds) can be hazardous. In March 2015, 2-year-old Mac Barnes Thomas of North Bethesda, Maryland, died after becoming entangled in a blind cord that had been placed behind the blinds. The actual pull cord was well out of reach, but the blinds were still controlled by cords that Mac could easily reach. Despite the fact that cord-operated window blinds are known to pose a danger to babies, retailers continue to stock them without warnings attached. The Window Covering Manufacturers Association has also fought against efforts to regulate blinds, which would require that hazardous cords are clearly marked or even prohibited. Thankfully, parents can neutralize the risks posed by window blinds. Major retailers like Home Depot stock both cordless window blinds and traditional varieties, so be sure to ask the store clerk to make sure that you are purchasing the right type. Recently, IKEA and Target have committed to only stocking blinds that are certified as child safe, so if you are particularly worried, they would be a good place to start. Cordless blinds do not require any cords to be hanging around them and are lifted or retracted using the base of the blinds. They look just as good as traditional blinds, even better in many cases, as unsightly lift cords are not required. In the past, cordless blinds have been seen as more expensive and harder to fit into specific window sizes. However, the models currently on the market seem to solve those issues, coming in a range of sizes and with easy installation procedures. Even with cordless blinds in place, there are several things that parents need to remember to protect their children. Whether you use conventional blinds, vertical blinds or cordless varieties, double check after installation that there are no exposed cords anywhere. Children love to play with cords and to place their heads through blinds, and even a very short length of cord poses a choking hazard. Be sure to check the back of any blinds thoroughly. If replacing all of your blinds is not a possibility you should ensure that any cords are tied down and out of reach. You can buy secure hold-downs for looped cords from most hardware stores. Don’t rely on tape or twine. Specially made ties are much more secure. If you have any doubts, contact the manufacturer of your blinds or the CPSC. 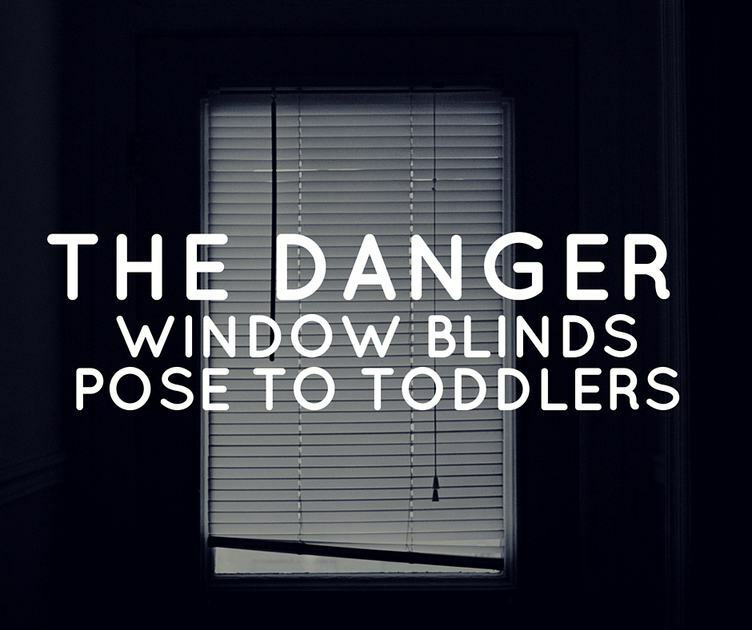 They will be aware of the safety risks attached to all blinds, and can offer advice about how to safeguard your children. The key thing is not to panic. As long as you attend to risks sensibly, you can have pleasantly shaded, private indoor spaces while also keeping everyone safe and sound.